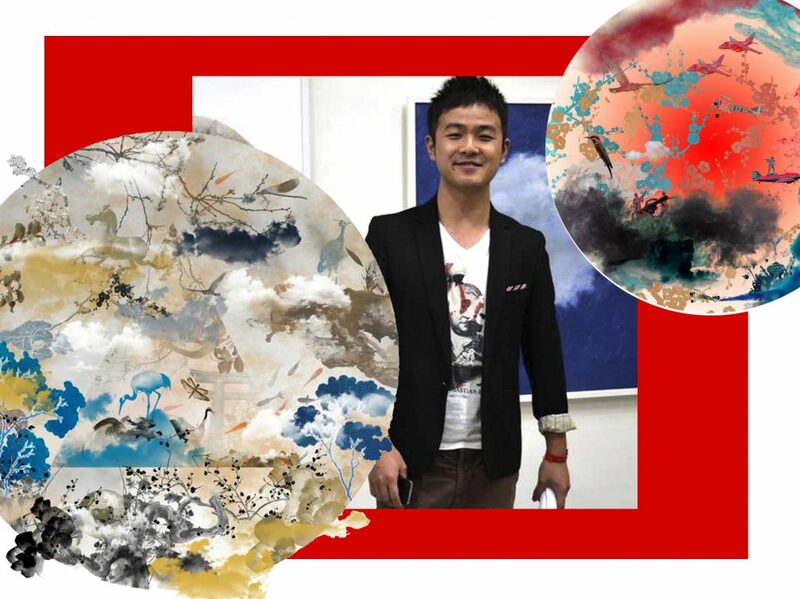 After a large series of proposals, Hennessy has enthusiastically chosen Guang-Yu Zhang a 31-year old Shanghai-based artist and one of the most notable emerging Chinese artist featured in Saatchi’s « one to watch » list. 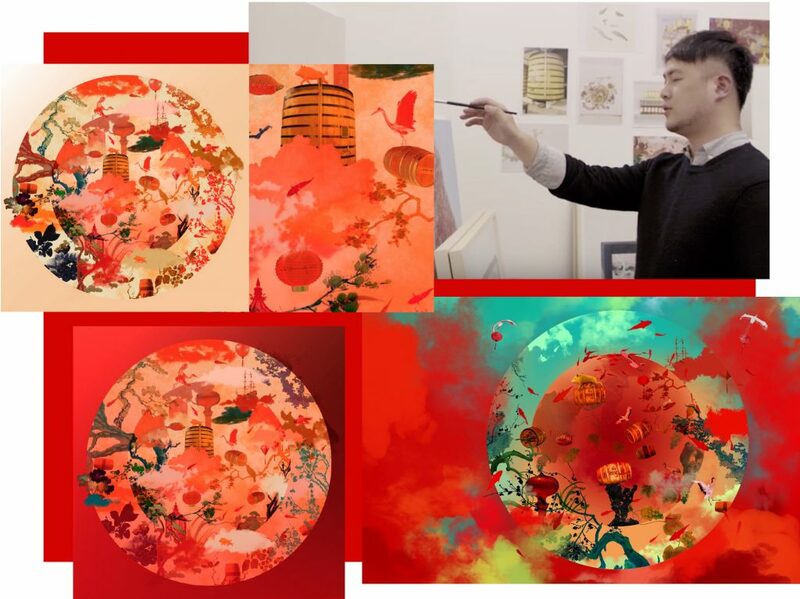 Both graduated from Central Saint Martins College in London and Academy of Fine Arts in Beijing, he blends the two cultures in a unique mix of West/East and tradition/contemporary style. 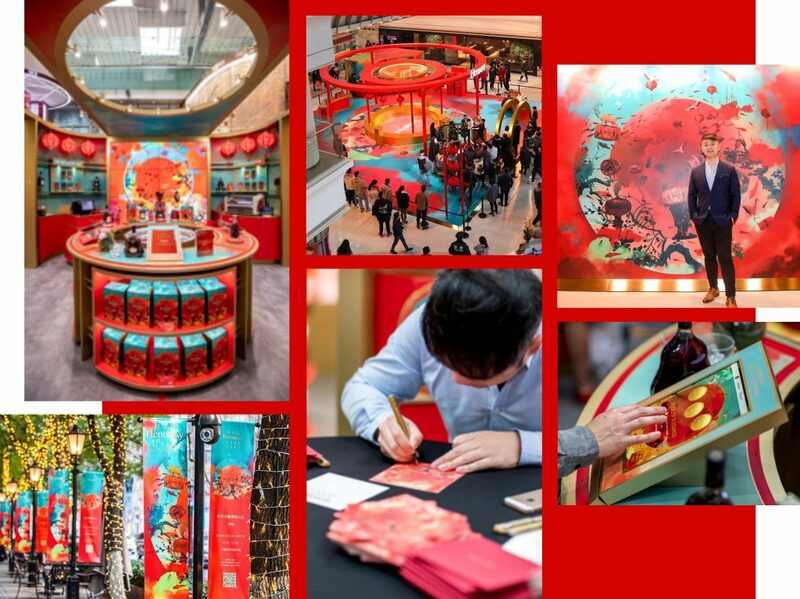 Naō has been contacting Guang-Yu, who was very happy to collaborate on such a great project. Welcoming him in Paris, our team has been traveling with him to Cognac, to let him discover with us the incredible roots, the unique story and the enchanting location of the Hennessy house. 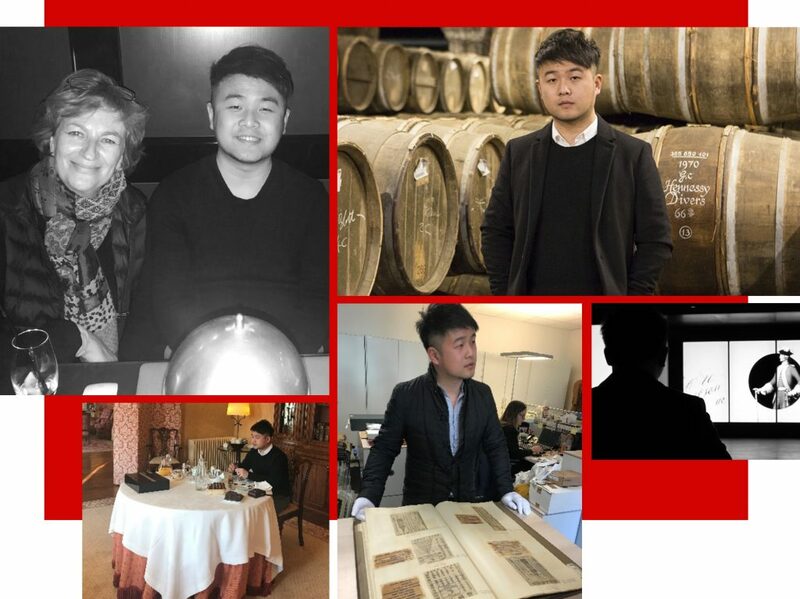 An exceptional trip and a cultural « choc » for Guanyu, as it was his first visit to France! He has been passionated by this fascinating discovery, associating himself with this inspiring adventure. 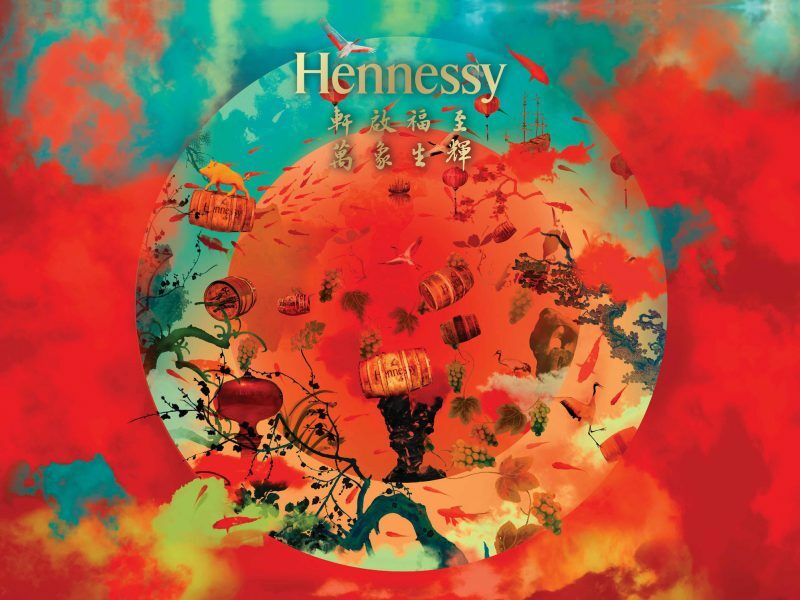 Then, it was time for great creativity … Hennessy shared the dream of harmony. 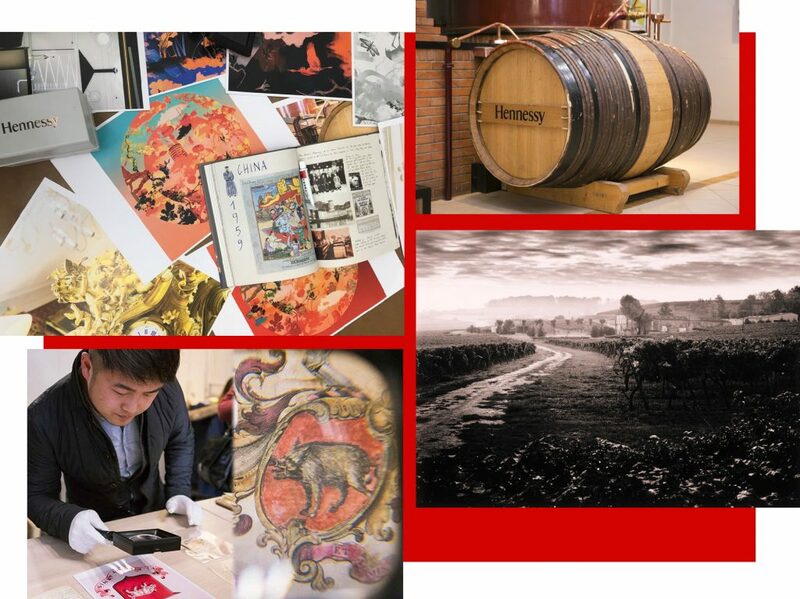 « From vines to grape, from distillation to glass, from nature to people, Hennessy takes the best of nature and offers it to its Chinese consumers to celebrate this special moment » Zhang said. His artwork, named ‘A Joyous Reunion’, incorporates the zodiac symbol of the boar and two concentric circles, an artistic representation of Hennessy’s double distillation process. 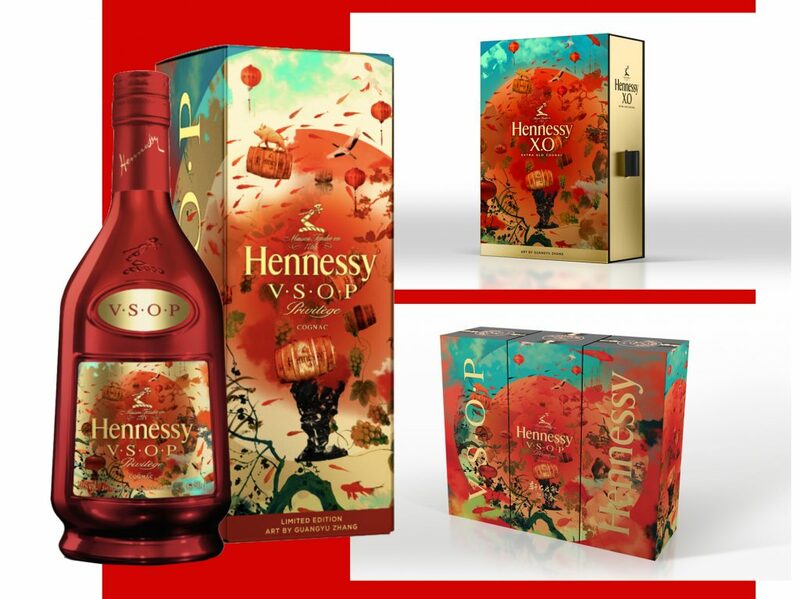 Guang-Yu has been inspired by all the images seen in Cognac, without forgetting the Hennessy special boar, a key element for this CNY 2019, all reinterpreted in a colourful and festive masterpiece.